A well-insulated garage door can keep the cold out during the winter, as well as heat during the summer. Our products, available in 23 designs, are made for Omaha and its humid continental climate. Watch the video to know how Garaga interlocking joints keep the heat inside and the cold outside all winter long. Weather stripping and all the parts of your garage door need to be in good condition to give you the best insulation. Preventive maintenance can be made by a garage door dealer, and any brands can be repaired if needed. To obtain the maximum performance from your garage door, the quality of its installation is as important as the quality of the door. 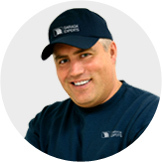 Get a peace of mind by working with GARAGA's network of professional and certified installers in Omaha. What other customers from Omaha area say about Garaga? I was impressed with the professionalism of the installer. He answered my questions which gave me confidence. Quality of the doors and operator installed are the best that I have seen. The doors are quiet and work beautifully. Came on time, completed to satisfaction, very reasonable cost, pleasant personality. I will recommend and use them again when needed. According to a cost-value study made by the magazine “Remodeling”, upscale projects to replace a garage door cost on average $3,298 in Omaha. In fact, houses in Omaha, NE recoup an average of 72% of their garage door cost when they are sold. Top 3 most popular door models in Omaha, NE: Standard+, Overlay doors and California. *This is according to the 2017 Cost vs. Value study made by the magazine Remodeling. 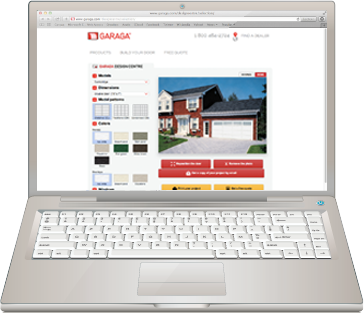 The experts at GARAGA garage doors understand every aspect of their industry, and they understand how the local climate and design styles in Omaha, NE area affects garage door installation and maintenance. This means that they have the knowledge to offer advice about both the design and the performance features of garage doors. More importantly, they have the willingness and skills to help you create a garage door system that will work for your specific situation. You need a residential garage door that will meet your performance requirements each and every time you open or close it. There are a lot of variables to consider: usage patterns, number of open/close cycles, safety requirements, insulation and weatherstripping, and the type of door opener you’ll need. Then, there are design elements like color, texture, windows, and overall style. Our experts can guide you through every step of the process so that you will get both the look and features that you want without leaving any important items out. 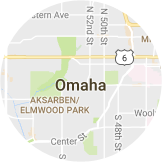 Garage experts in Omaha prefer LiftMaster garage door openers. They want to give their customers a reliable and trustworthy opener. LiftMaster, The Chamberlain Group company, has proven itself in the industry. Their openers have shown their quality in real world settings. This is why garage door pros recommend LiftMaster garage door openers. These door openers are easy to use. They are compatible with most major models of garage doors, so they are always an option no matter what style of door you choose. The openers are also highly customizable. If you need safety features, heavy duty performance, or even extra-quiet operation, LiftMaster has the garage door opening system to fit your needs. 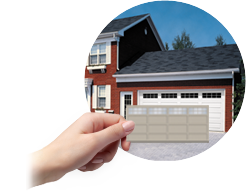 We can serve as your garage door partner for the entire lifecycle of your door. Of course, our experts will handle the installation of your door. However, we can also continue to ensure that your garage door system is working safely and efficiently via our annual maintenance program. If you take advantage of this offering, you will have confidence that your residential or commercial garage door will always work correctly. Our technicians in Omaha, NE will perform the installation, repair and maintenance of your garage door system. They will be there every year to perform inspections and preventive maintenance so that you can have the utmost confidence in your door.